Yes, now you too can rid yourself of Blue Jays! Playing this CD will chase Blue Jays in your area away the very first time it is used. CD player, media player or Outdoor Sound System REQUIRED to use this product. 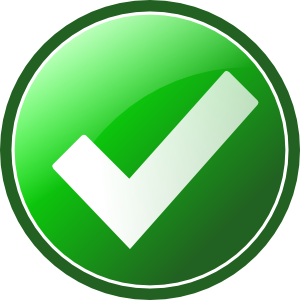 We Provide 100% Customer Satisfaction or Your Money Back! If you have a bird feeder and the blue jays have found it, all we can suggest is to put the bird feeder away for a while. You can't really blame the blue jays, since food is such a powerful attraction. After using our Bluejay be Gone CD, you will be able to bring the bird feeder back for your song birds once the blue jays have vacated the area. 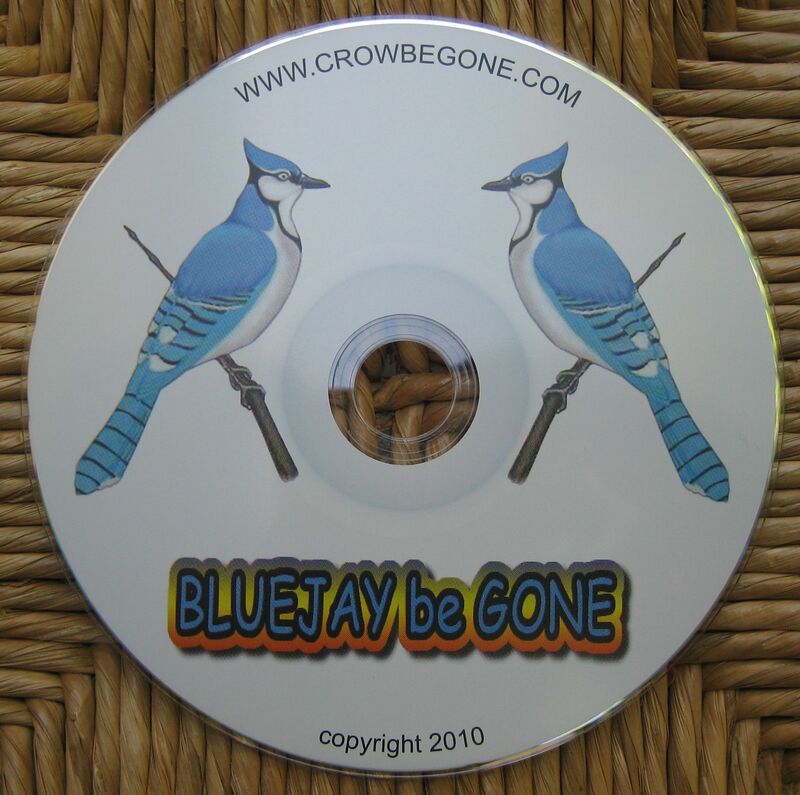 Our BLUEJAY be GONE© CD "will NOT chase away songbirds." This CD is specifically edited for Blue Jays, Steller's Jays, Western Scrub-Jay, Florida Scrub-Jay and Eastern Bluebird all of which are in the Corvidae family. One of the most important aspects of the success factor. The speaker(s) must not be pointed at the problem area. Conceal the speaker(s) (behind a chimney, under eves, behind a vent, under a tarp or in a nearby tree) and point upward. It's best to place the speaker(s) on the other side of your home, away from the problem area. Blue Jays are a highly intelligent bird and may not feel threatened if they are able to see and hear sounds coming from a speaker. Testing has shown that it need NOT be played loud to work. Our sounds are specifically edited intended to distort if played too loud. Yes, birds have great hearing so there is no need for high volume. Place your speakers outdoors or out a window or balcony pointed upward, for best results. For optimum performance, the higher the speaker is from the ground, the better the sound distribution. Be sure to conceal the source of the sound (speakers, etc.). Blue jays are smart and it's better if they can't determine that source. BLUEJAY be GONE CD should "NEVER be played LOUD!" Our CD is specifically edited to "DISTORT if played too loud." Birds have great hearing so keep the volume low. You want to make it sound like the predator birds on the CD are in the distance approaching the area. We use natural nature sounds to work for you. The sounds are not constant and repeat at various times throughout the CD. Often you won't hear any sounds playing at all and with your speaker pointed upward no one will even notice. It's these times of silence that make the Bluejays very nervous. What you're doing with our CD is you're making the area very unfriendly to the Blue Jays. If you have a repeat button on your player, great! "Just let it play!" With the volume low you should faintly hear the predator bird calls from the other side of your home. Play in the early morning and let it continue to play until at least 1 hour after sunset. Using a boom box on a balcony or in your backyard will work and following the suggestions above will increase your success with our BlueJay be Gone CD. Do you have an MP3 available for download? Yes we do! In addition to receiving your CD via USPS, we have an MP3 available upon request at NO additional charge. Don't want to pay postage? For more information for MP3 purchase only via email click here. "I just had to tell you how incredible "Bluejay Be Gone" is! We had two bluejays move into our back yard and literally take over. They were constantly squawking and making racket. Then they started to dive bomb and harass my poor cat every time she went out on the deck just to be out side. They would gang up on her and fly at her until she finally ran indoors. After she ran inside they would perch themselves where they could see her in the house and continue their racket until she went into another room! Then they started in on my wife when she went out onto the deck! After a week of their incessant noise they were driving us nuts! I found your CD online and ordered it as a download not wanting to wait another day. I made a copy immediately and played it and they actually quieted down. The next day I played it two or three times and they moved on to another yard (I could still hear them in the neighborhood, though). I played it several times a day for a few days and they left altogether! What a relief and what a miracle! Your results, again prove to us that we are on the right track with a humane way to deal with Blue Jays. "Works like a charm! Was so tired of the blue Jay's screeching at 6 am, one on each side of the house calling each other. I bought small boom box and pressed play. All I heard was few seconds predators screech. I thought, what a waste of money, however, right after the CD noises, there was a lots of commotion in the tree the Jays are camping. So I played the same sound one more time and they flew away, what a miracle!!! I'm soo happy!" We offer hope to those in a safe humane way. "We purchased BlueJay be Gone a few years ago and it worked immediately. This year, when the Jays started building a nest in the awning of our porch, I dusted off the cd and before it had played through even once, the jays left and have not returned." We're pleased that again we're able to bring relief to your Blue Jay issues. It's stories such as your's that makes us continue to strive to customer satisfaction. We wish you continued success. "So far your CD seems to be working well. I also have had a problem with rabbits eating my landscaping. I haven't seen them around lately. Do you think this bluejay CD would have an effect on rabbits as well?" We are pleased with your results as well. We have been told by others about this effect on rabbits. We will continue to study the reports we've had on this occurrence. "Hello, Sorry for the delayed response. The jays had been in our yard for a few weeks before I tried the CD. They were harassing our cats and dogs non-stop and driving us crazy with their screeching. I played the CD and the next day we never saw them again. I have seen jays in the neighborhood a little bit, but there have been none anywhere near our yard. It is peaceful again! They have not returned and it has been at least 3 weeks." "As of today, the jays have STILL not returned! Your so very welcome. We are very pleased we could help. "We are please with the results from BlueJay be Gone. We never knew that such a product was available and so easy to use." "Hello and thank you for such a great product that worked wonderfully for us. We used an old DVD player that also played CD's and ran some wires outside to our speakers. It was so easy and we enjoy our new found blessing. We also felt that if it didn't work that we could get our money back. We now have our backyard clear of those terrible nasty Blue Jays." Our pleasure to help you. "Thanks for the help with our problem with blue jays. We were skeptical at first yet with my husbands persistence and a little time we overcame our issue with these nasty birds. At first they didn't want to leave but over time their numbers drop significantly. We were able to return our bird feeder and our songbirds returned as well. We remain on look out for these pest and when needed we play your cd." We are pleased that you have solved your Blue Jay problem. Let BLUEJAY be GONE© be your first line of defense!